This month marks the one year anniversary of going gluten free. I have been pain free for a full 12 months! What a drastic change it has been to our wheat-farm-owning family! All of the flour was expelled from the house and replaced with rice, teff, sorghum, tapioca and almond flours. The cupboards have been filled with corn tortillas, pop corn, rice cakes and almond butter. My mom is a brilliant cook and baker, which really made the transition easier. Birthday cakes, scones, cookies, brownies and all sorts of other treats are still made and consumed in our home without all of the side effects of wheat. It is a beautiful thing. 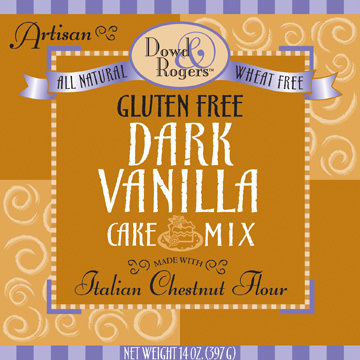 Dowd and Rogers “take the cake” on the best GF cake mix. Usually a fan of chocolate baked goods, I was pleasantly surprised by these beautifully moist, flavorful cupcakes. This product has the best crumb I have ever experienced with a gluten free bakery product. 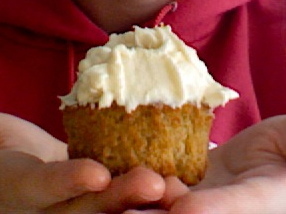 I topped them all off with an ameretto cream cheese frosting. They were heavenly.